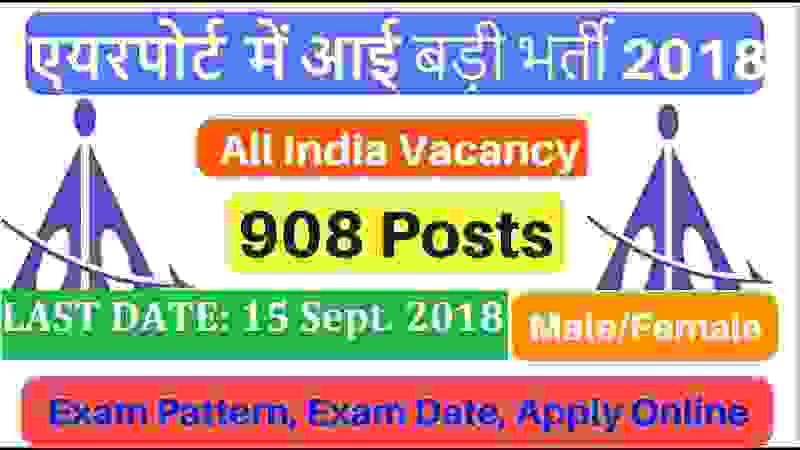 AAI Recruitment for 908 Manager and Executive posts 2018 in various airport of India. A new Notification is out from Airport authority of India in which they are inviting all Indian candidates to apply for these Airport jobs in India. Indian fresher candidates who passed out from the following qualification: “B.E./B.Tech / MBA/B.sc” are eligible to apply for these airport jobs in India 2018. More information about these Government jobs in India under Airport Authority of India ig given below in this article. Read the whole article carefully before applying for these airport jobs. What are the Eligibility Criteria for this AAI Recruitment? Must have age less than 35 years. Age must be less than 27 years. How much we have to Pay for applying these Government jobs? Pay Examination fee through Internet Banking/Debit Card/Credit Card. How to Apply for this AAI Recruitment? Those who are interested in airport jobs can apply online through the AAI official website. There is no other way for applying these Government jobs in India. The process for applying online will be activated on 16th July 2018 and will remain activated up to 16th Aug. 2018. You have to apply online between these dates. Check the IMPORTANT LINK section below for reference links related to this Notification. We took all this information from the official PDF file posted by Airport India Authority recruitment department. What is the Selection process for these Airport Jobs? Airport Authority of India decide to conducts a written examination for the selection of candidates and that written examination will be computer based examination. Those who clears the computer based exam will go through the personal interview round for final selection. 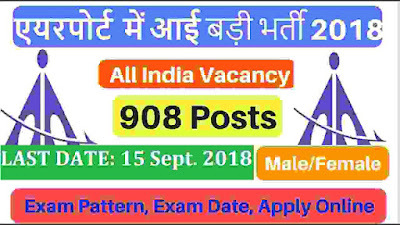 16th August 2018 Last Date for apply online.